Very finely engraved town plan centered on Lower Manhattan and extending north to 42nd Street. 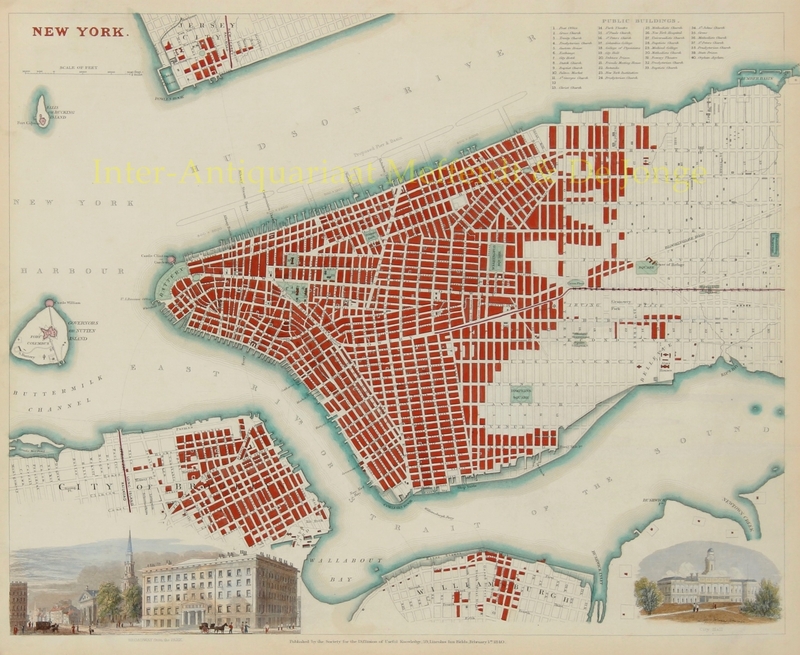 It shows Governors or Nutten Island, and a small portion of Brooklyn, Williamsburg, and Jersey City. In Manhattan the newly built Harlem Railroad is shown. Bellevue Hospital and its associated Alms Houses, and the House of Refuge in Madison Square are shown. Gramercy Park is noted along Irving Place. There are several proposed piers in the Hudson River, of which only some were completed. A table locates and names 40 important buildings. Along the bottom are large and finely rendered views of Broadway from the Park and another of City Hall.